Phill Emmerson, 91, of Sheffield passed away on Friday, July 7, 2017 at St. Margaret Hospital, Spring Valley, Illinois. A Funeral Mass celebrating his life will be held at 10:00 a.m. Wednesday, July 12, at St. Patrick Catholic Church, Sheffield. Reverend Mark Miller will celebrate the Mass. Burial will follow at St. Patrick Cemetery, Sheffield, where Military Honors will be accorded by the Clark Carrington American Legion Post #1031, Mineral. Visitation for Phill will be on Tuesday from 4-7 p.m. at Vandemore Funeral Home & Crematory, Atkinson Chapel, where a Rosary will be recited at 3:30 p.m. In lieu of flowers, the family requests memorials to the Phill Emmerson Memorial Fund to be distributed to several local charities or to the American Alzheimer’s Research Association. Phill was born on August 1, 1925 in Princeton, Illinois, the son of Mel & Alice (DeMarlie) Emmerson. He attended Sheffield Schools, and later served our country as a sergeant in the U.S. Army during the Korean War from 1950-1952. He was united in marriage to Norma Hier on August 12, 1950 in Kewanee. Phill was a lifetime farmer in the Atkinson & Sheffield area, retiring in 1989 when he and Norma moved to Sheffield. He also was a longtime Hulting Hybrid Seed Corn dealer. Phill was a member of St. Patrick Catholic Church, Sheffield, the American Legion, Kewanee and Annawan Bolders clubs, Western Illinois Rolle Bolle League, and the Flemish American Club. He enjoyed and was an avid Rolle Bolle player. He loved to travel and he and Norma traveled extensively. They enjoyed eight trips to Europe, 13 trips to Hawaii, and four trips to Alaska. Phill was proud to have driven in every state in the U.S. Survivors include his wife, Norma, his daughter, Patsy ( Robert) DeFauw, Annawan and his son, James (Peggy) Emmerson, Sheffield. Grandchildren are Anita (Daniel) Rakestraw, Rob (Amy) DeFauw, Jamie Emmerson, and Benjamin Emmerson. Step grandchildren are Kristie Mansfield and Shawn Etheridge. Great grandchildren are Hannah and Maddison Rakestraw and Nash DeFauw. Phill had seven step great grandchildren. His sister-in-law is Anez Emmerson, Geneseo. Phill was preceded in death by his parents, two brothers, Roger and Rene Emmerson, and his sister, Alice Rodgers. 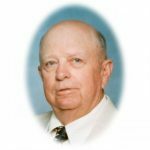 Phill Emmerson, 91, of Sheffield passed away on Friday, July 7, 2017 at St. Margaret Hospital, Spring Valley, Illinois.